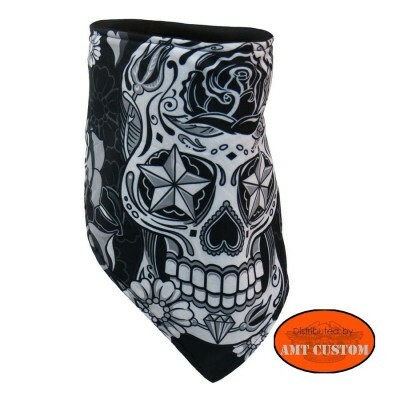 Skull tube scarf. 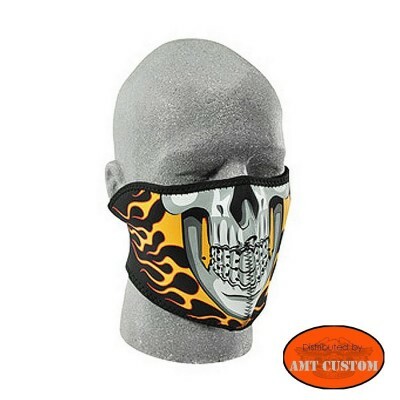 - To protect your neck and face. 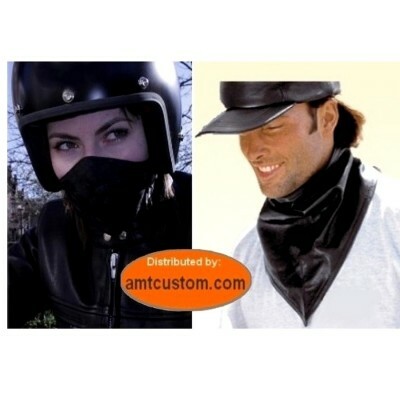 Black tube scarf. 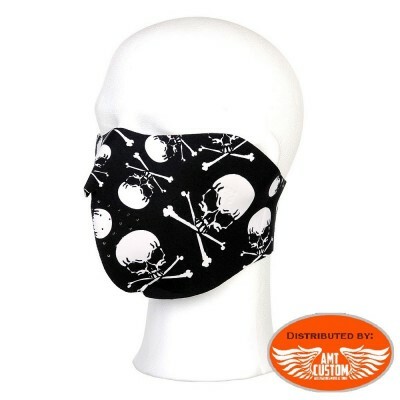 - To protect your neck and face. 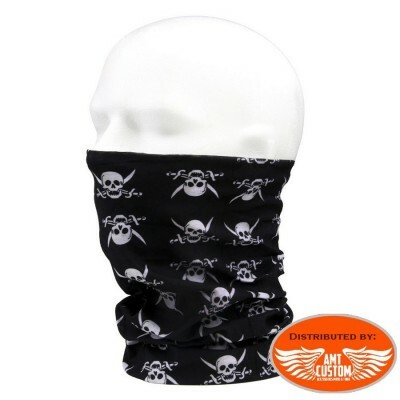 Pirate tube scarf. 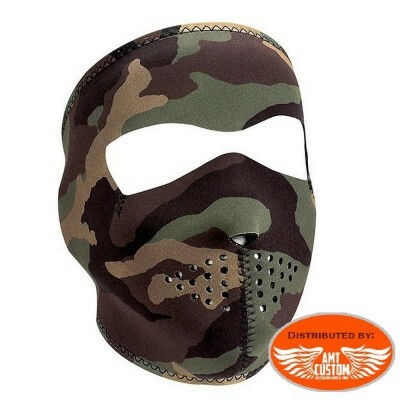 - To protect your neck and face. 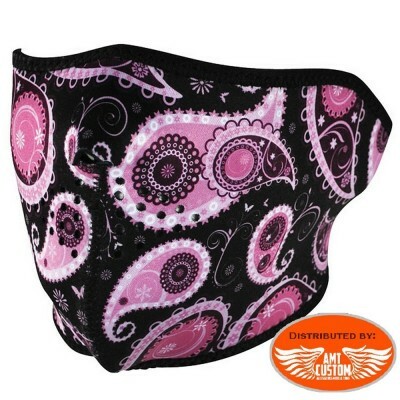 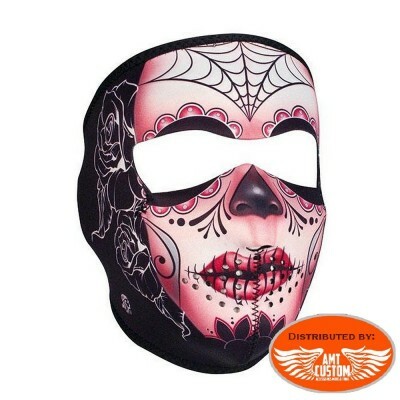 Neoprene mask Lady Rider sugar. 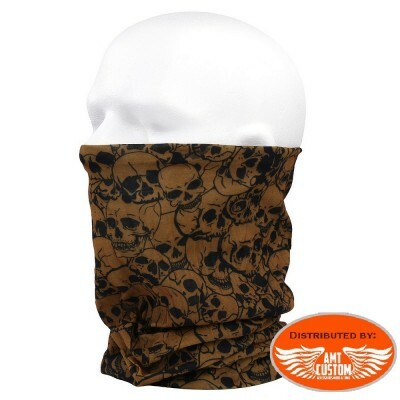 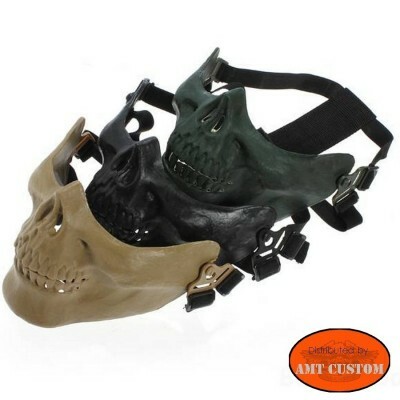 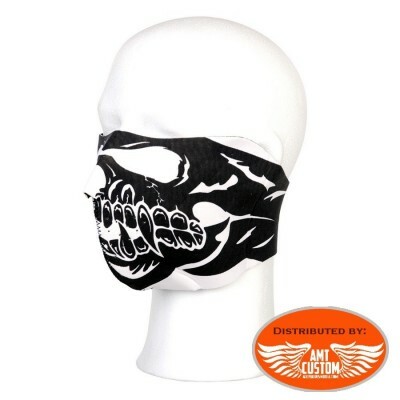 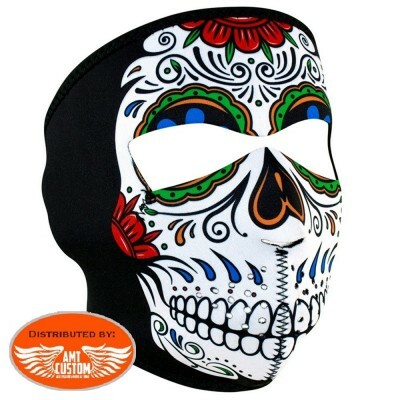 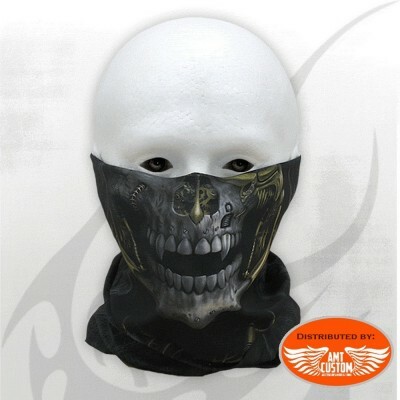 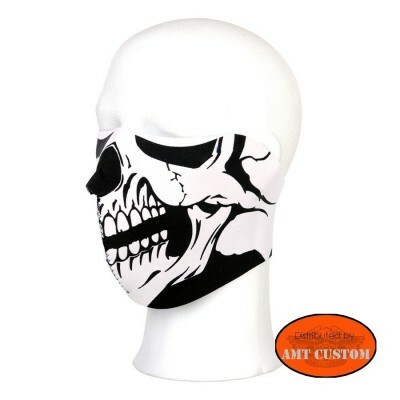 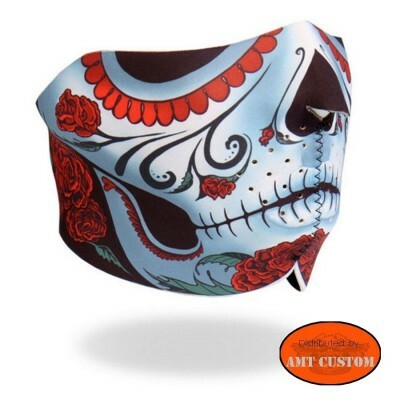 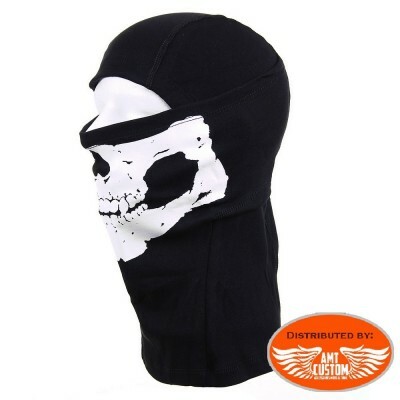 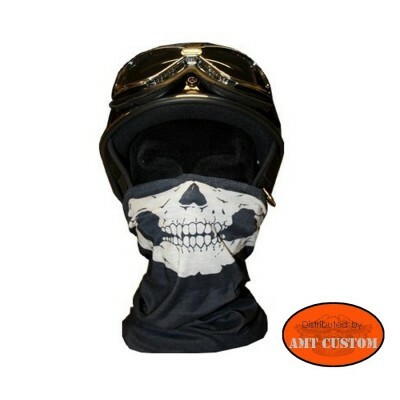 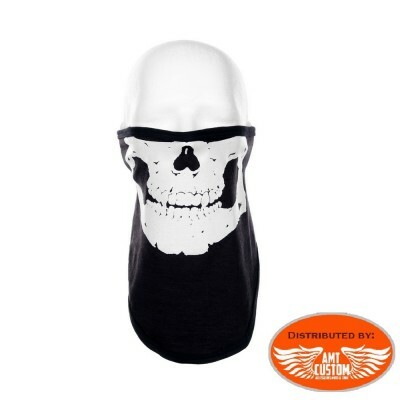 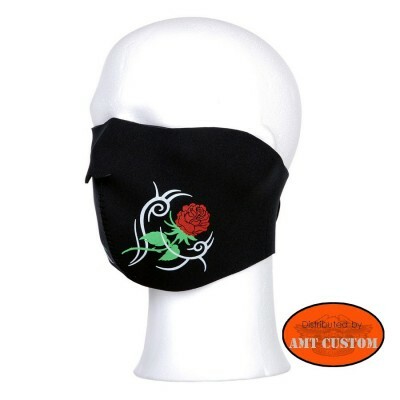 Skull 4 in 1 biker Scarf Mask - Can be worn in different ways. 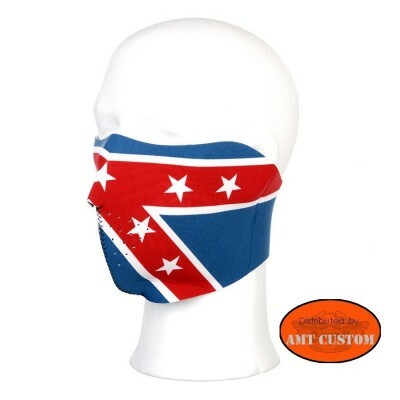 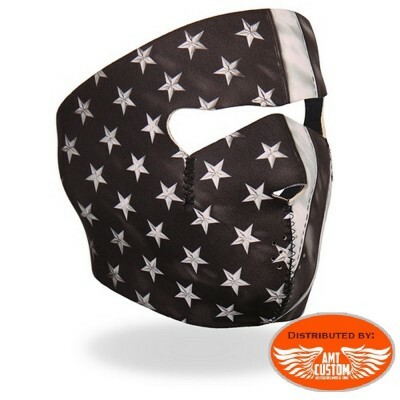 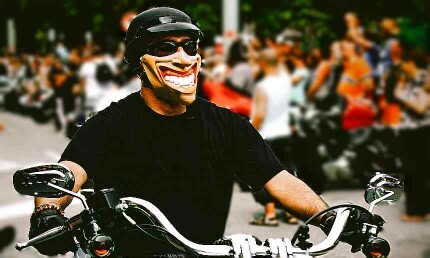 Neoprene biker mask USA flag. 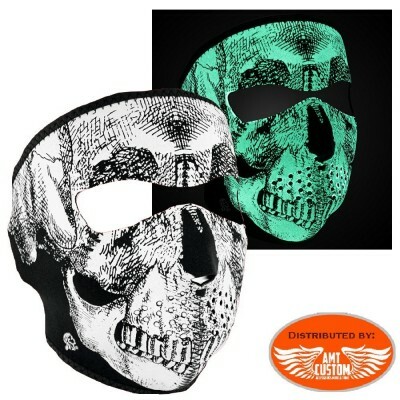 Neoprene mask Lady Rider Muerta. 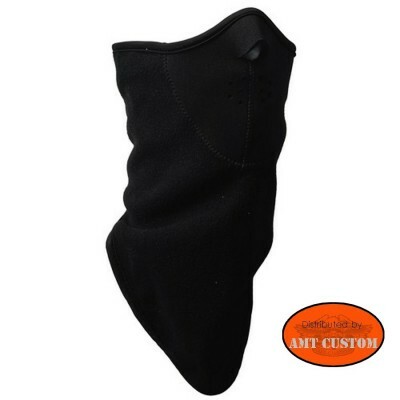 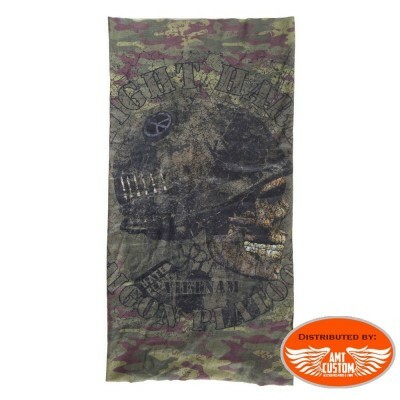 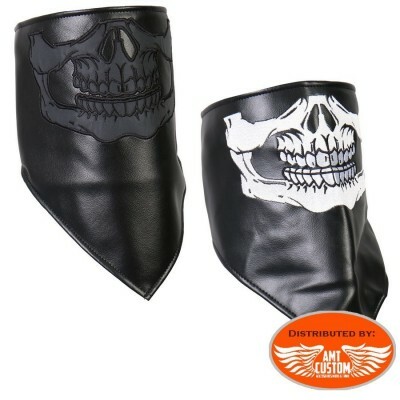 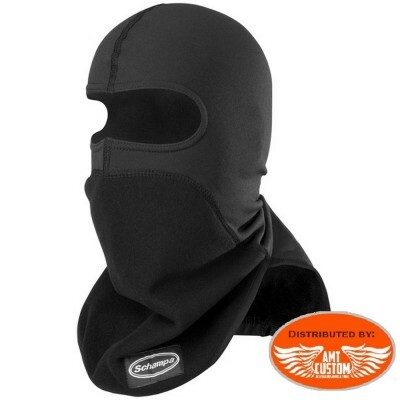 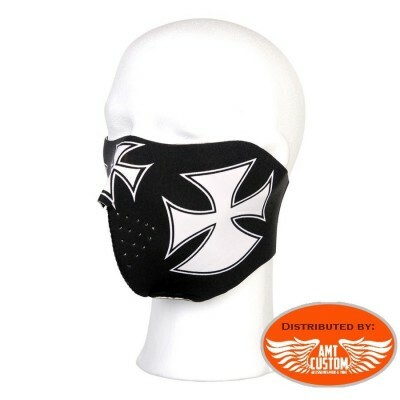 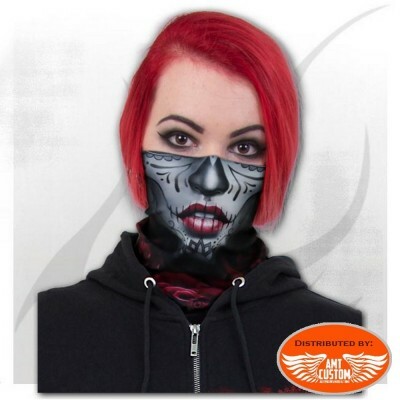 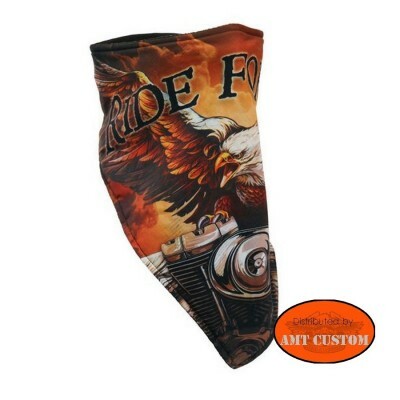 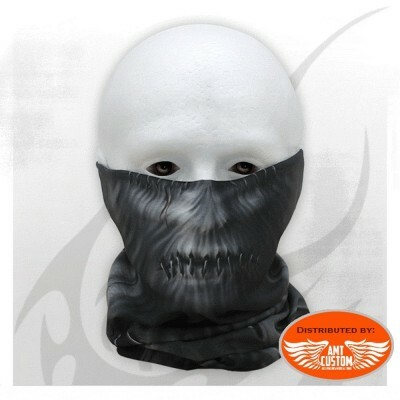 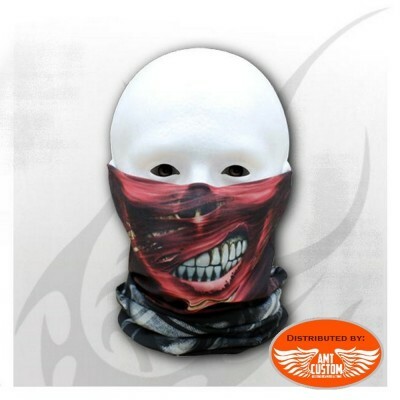 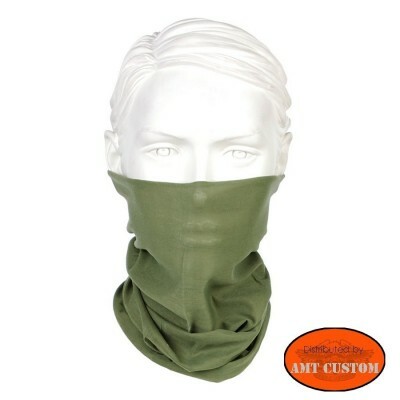 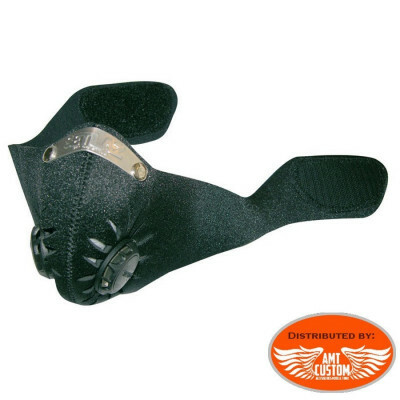 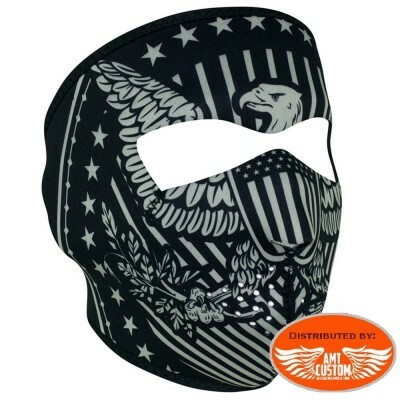 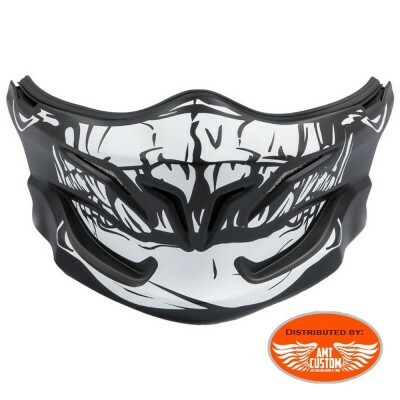 Vtwin Eagle biker Scarf Mask . 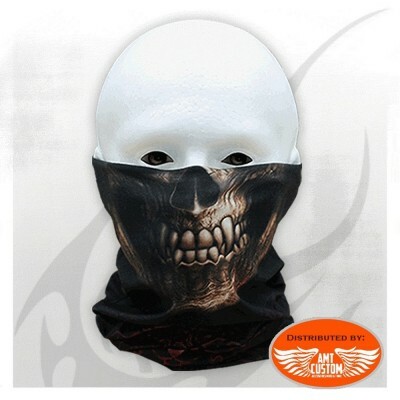 Scarf / Mask 100% cotton. 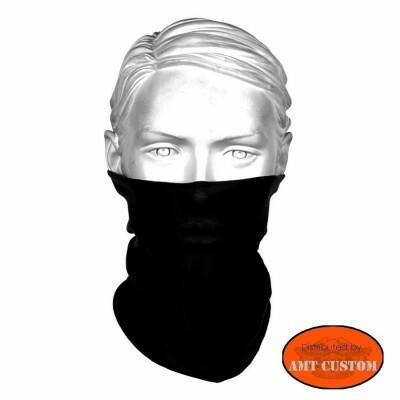 - To protect your neck or face. 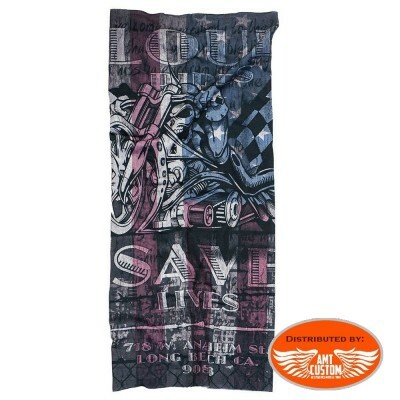 Pink Butterfly Lethal tube scarf. 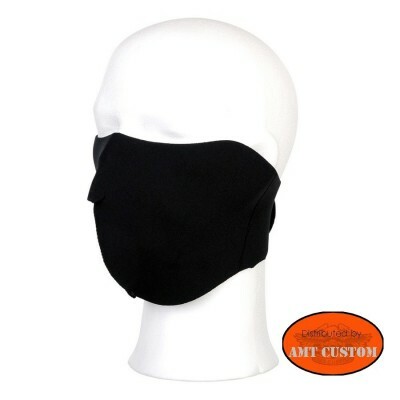 - To protect your neck and face.